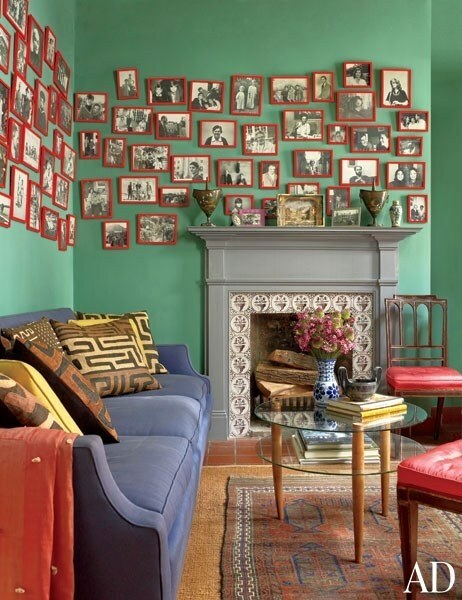 A Home is where you are surrounded by the simple items that make you smile and decorated with your favourite things. 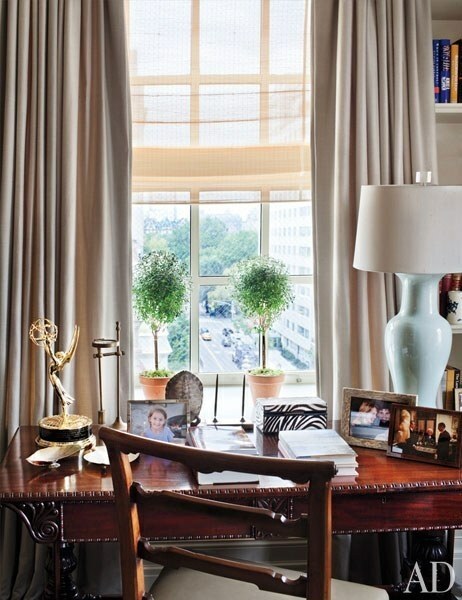 It is filled with your personal touches and your sentimental collections. 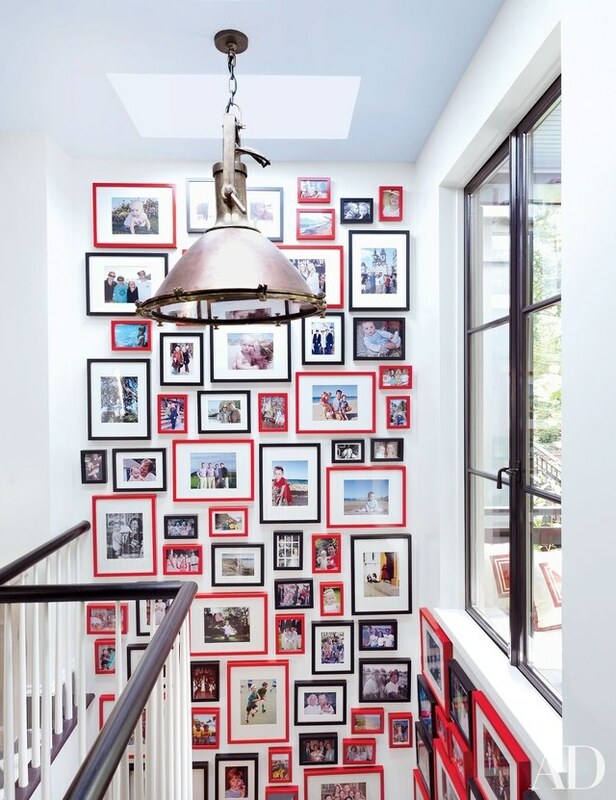 Family photos play a big part into making a house a home, they make a statement about what’s important to you and help you remember life’s precious moments. 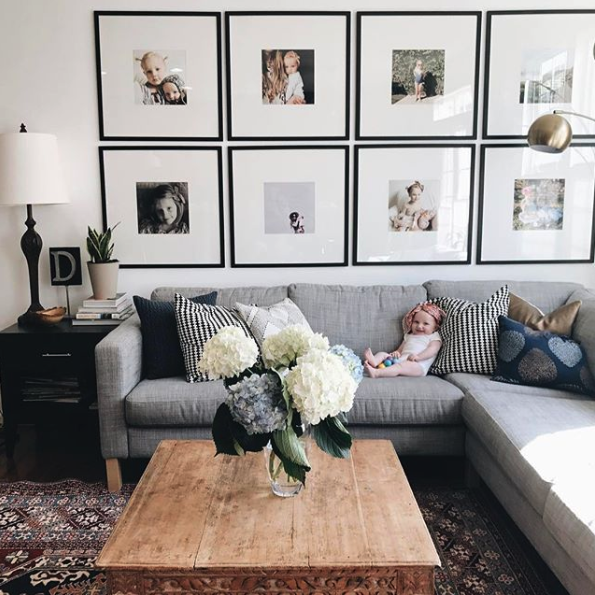 Research has found that those kids with photos displayed in their home grew up with greater confidence and sense of belonging than those who didn’t. They had stronger feelings of value and a better understanding of where they came from. 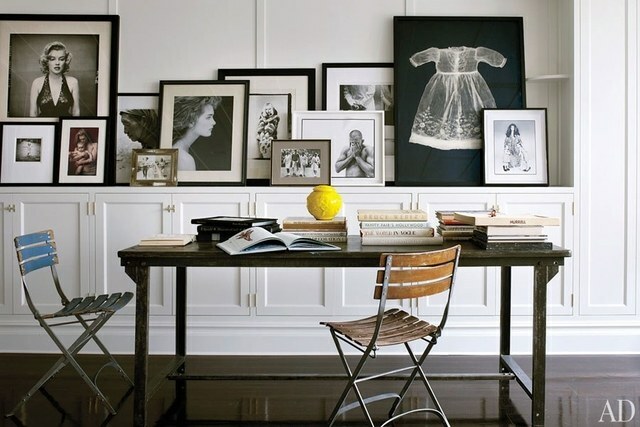 So many areas in the home can be an exhibition station for family photos, art works and or mirrors. 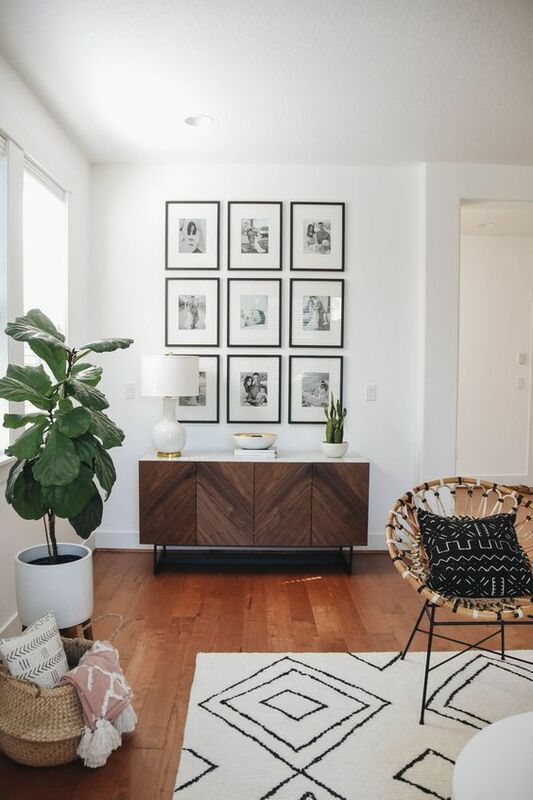 Hanging interesting photos or artworks is a great way to create a journey through your home that often ends in your living or entertaining areas. 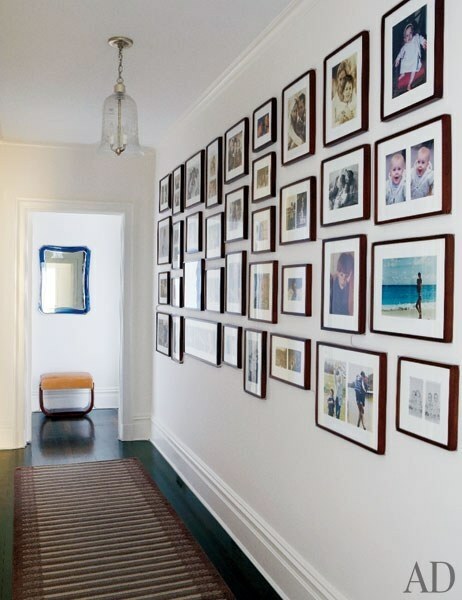 This is why they are one of the most common places where people choose to display their treasured family photos. 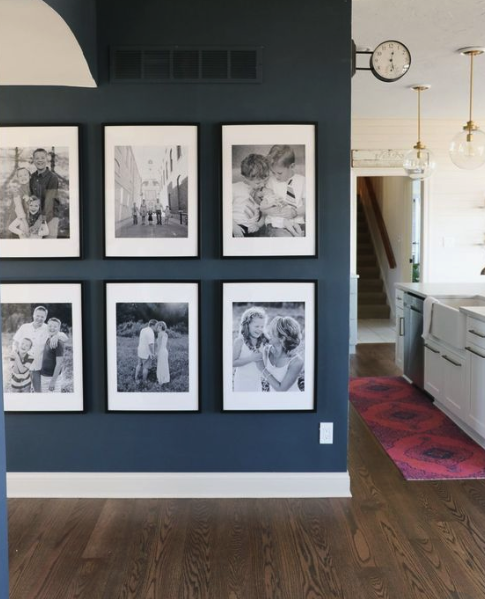 There are so many ways you can design your photo layout around your home. Layouts are always unique to how you use the space. 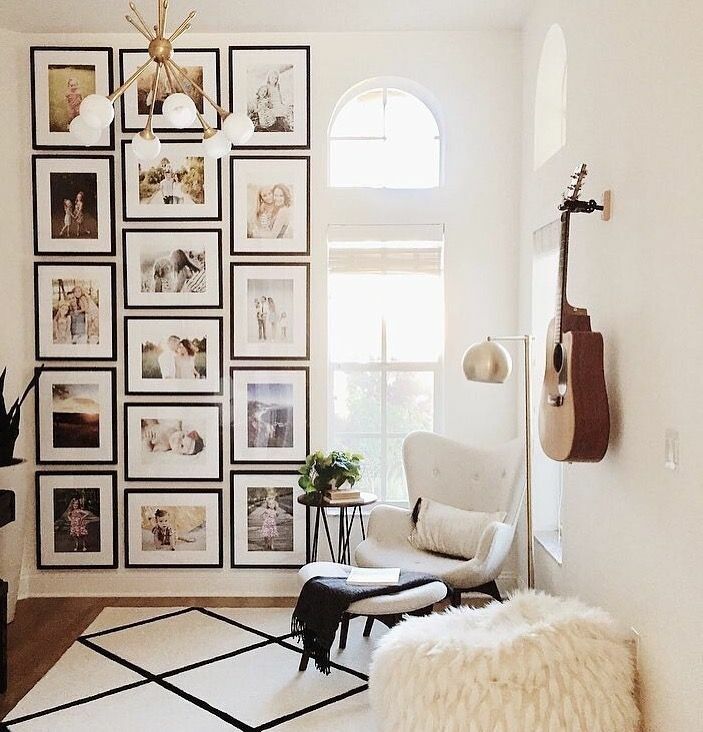 Moving away from the staged photos of everyone dressed in white sitting in front of their living room curtains, having a Natural family photo shoot done captures the unique personalities and family dynamic. 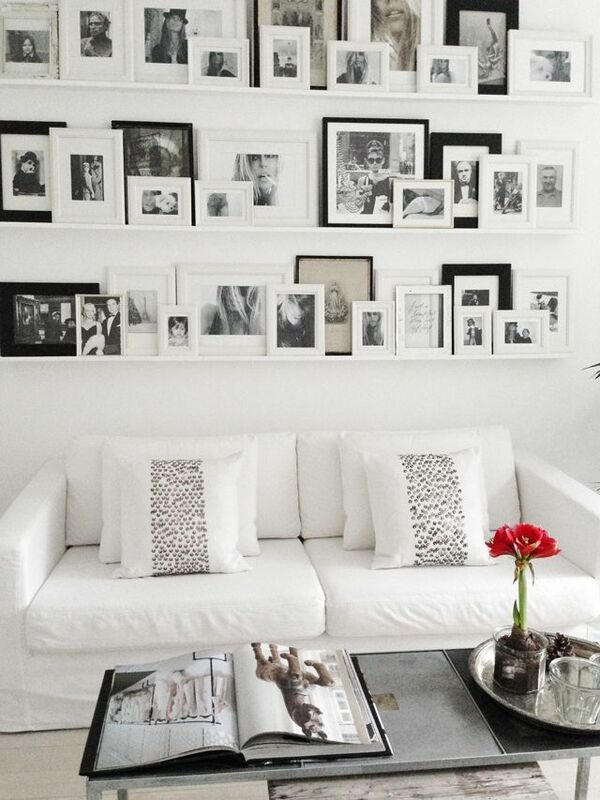 Displaying these photographs in your home are reminders of the love you share. 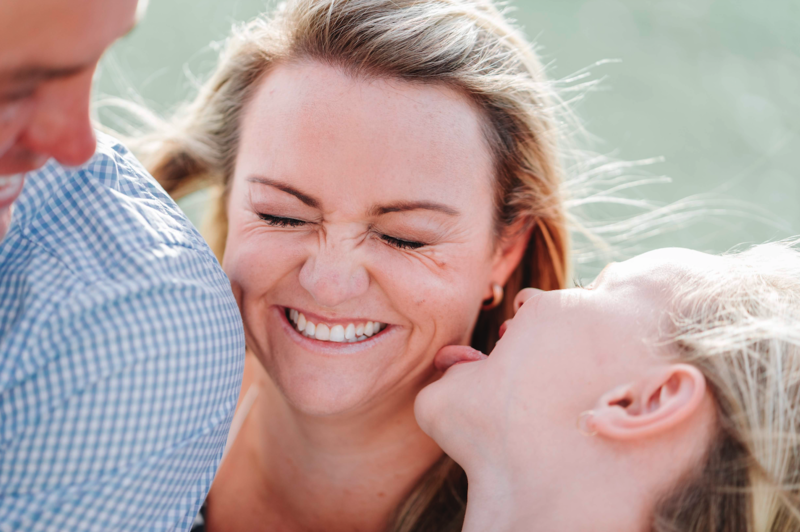 Natural family photos are, the look between a husband and wife, a glance between a brother and sister and that wink shared between a father and son. They are also the chaos between a busy family and frozen moments of how your kids really are. 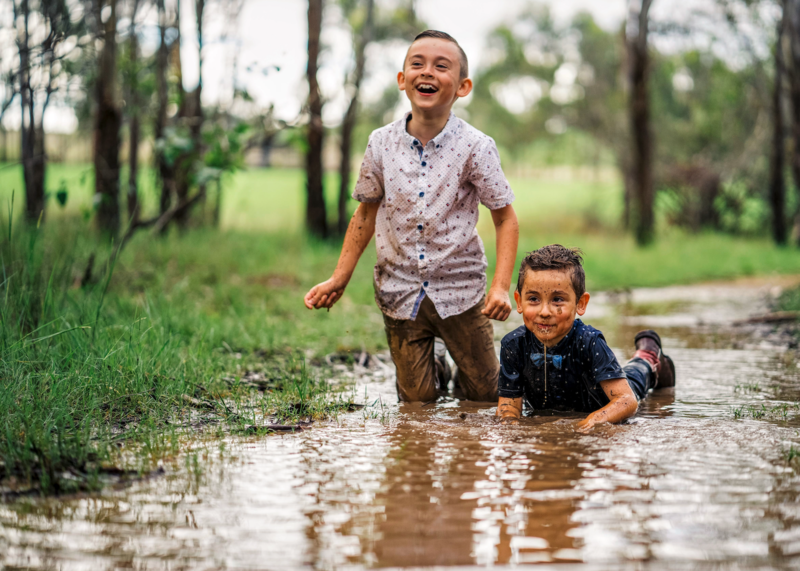 Photographer Nick Peel from Barely Monks photography believes in embracing the chaos of kids being kids and capturing them in their most natural form. Photos like these create a great talking point at dinner parties and also by putting them on display lets your children know its ok to be yourself. 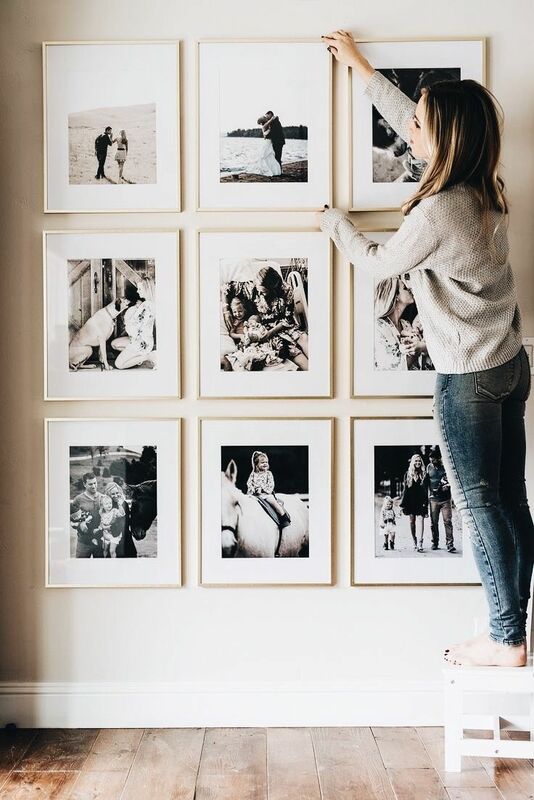 Having photos of precious moments balanced with a number of professional photos displayed around your home brings the family together as they look back on the amazing times of their lives. 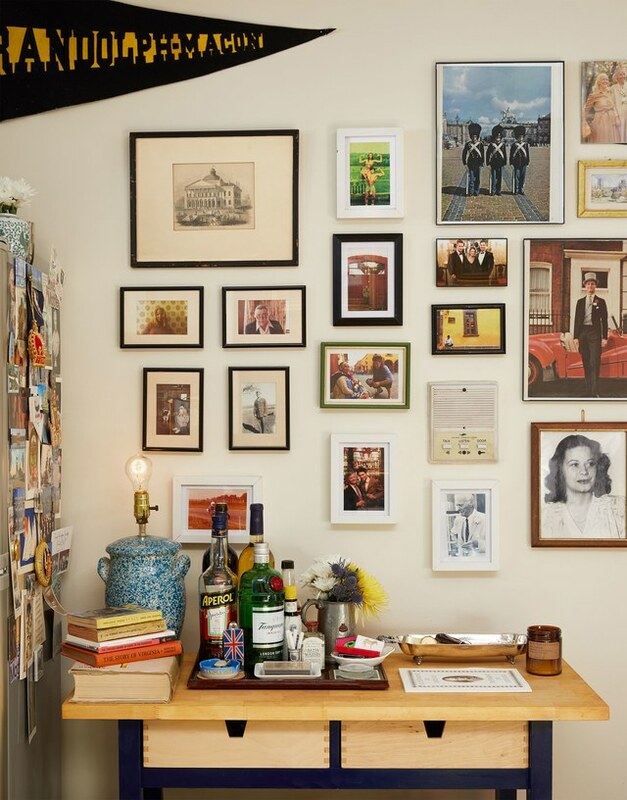 Family photos on display allow us to regularly travel back in time, see and feel that warm feeling of nostalgia. We are reminded of what matters, how time moves too quickly and to treasure the moments we have. 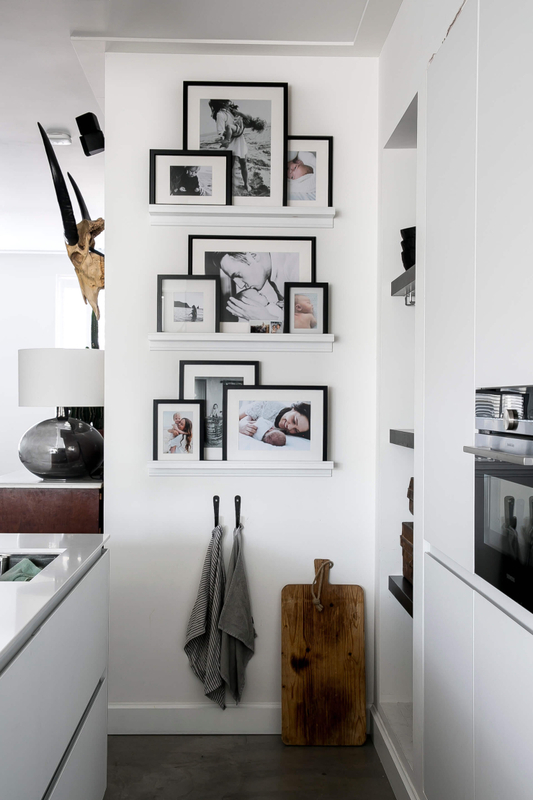 In the below pictures you can see how having family photos hanging on your wall makes your walls look less "lonely" and feel more homely. A picture says a thousand words but capturing love in a photo is quite difficult. In researching this article we spoke to a number of family photographers, the stand out comment from them was “what we do is very much a labour of love”. Family photography is a unique field as in every trade there are good and not so good photographers, research is key. 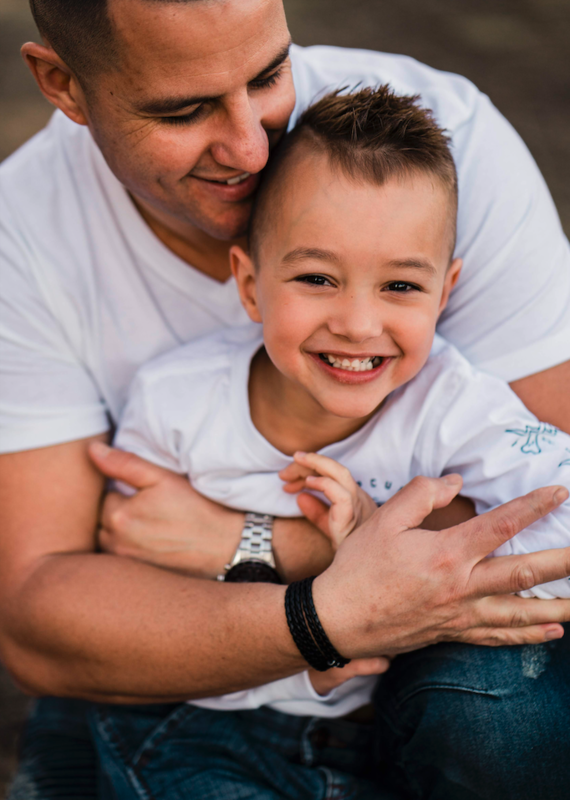 Google, Pinterest, Instagram and facebook along with talking to other families who have had success with their photography shoots. 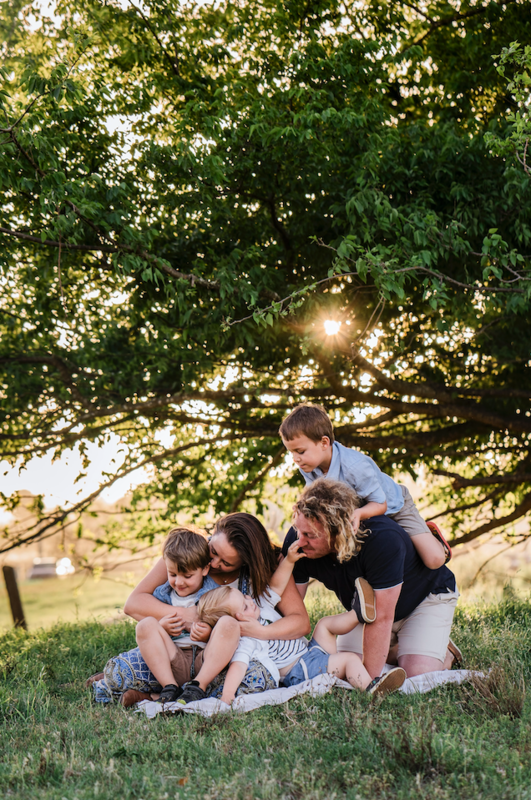 "Just when you start to worry that the perfect family photo shoot you imagined isn't going to plan, that's when I find that the magic starts to happen." This is a great example of the type of photographer that you want to look for, we clearly saw that his job is something that he loves to do while delivering a high quality product at the same time. We have displayed some of their works below. ⟵What is Hamptons Style in Australia? Great post. I used to be checking constantly this blog and I am impressed! Very useful information specifically the closing part 🙂 I deal with such information much. I was looking for this particular info for a long time. Thank you and good luck. content from other writers and use something from other sites. merino on What is Hamptons Style in Australia? jordan retro 6 on What is Hamptons Style in Australia? 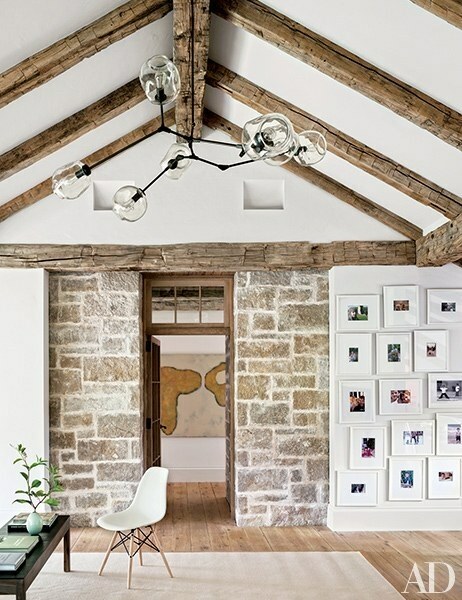 here on What is Hamptons Style in Australia? 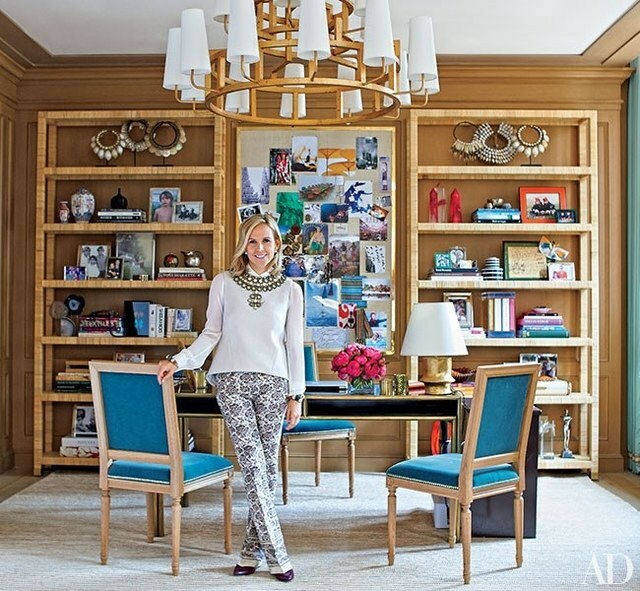 Ann on What is Hamptons Style in Australia? 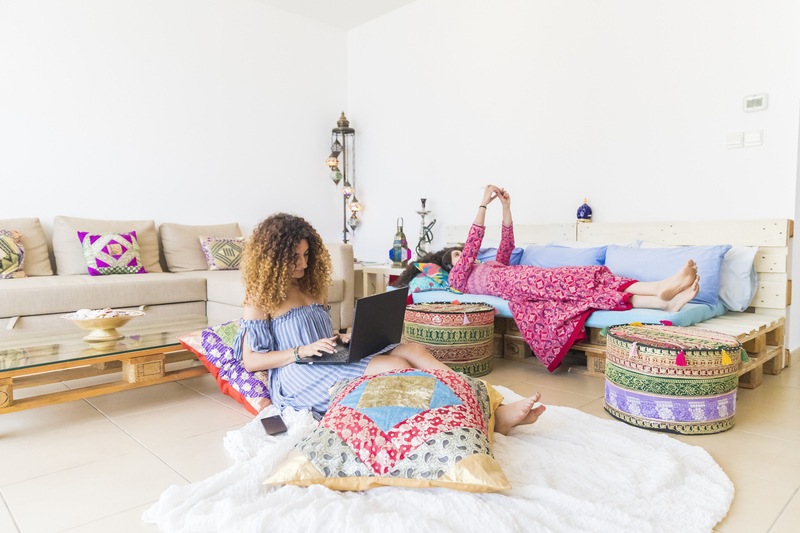 Social Media on What is Hamptons Style in Australia?